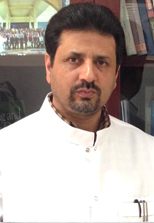 He is heading a state-of-the art Reproductive Biology Laboratory in Dubai with a mandate to develop reproductive biotechnology techniques for animals of the region. In year 2009 he and his team produced World’s First Cloned Camel named ‘Injaz’. In subsequent years he has produced many more cloned calves from the somatic cells of different elite animals. Before joining Central Veterinary Research Laboratory Dubai as a scientist in year 2003, Dr. Wani has been working as an Assistant Professor in SK University of Agricultural Sciences and Technology, Srinagar, India for more than 6 years. Dr. Wani obtained his bachelors degree in veterinary sciences from SK University of Agricultural Sciences, Srinagar, India. Having secured the highest overall grade point average he was awarded with university gold medal and a certificate of honour. He did his masters in Veterinary Reproduction from the same university and bagged Young Scientist Award from the Department of Science and Technology, Govt of India for his extraordinary research work on in vitro embryo production from the gametes of dead sheep. Dr. Wani did his PhD from prestigious GB Pant University of Agriculture and Technology Pantnagar, India in Animal Reproduction. His dissertation reported the first successful protocols to vitrify immature oocytes and ovarian tissue in buffalo. Dr Wani is member of many international organizations and has travelled widely to deliver lectures and talks on assisted reproduction in camels. 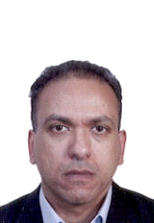 He has published in many journals of repute and is reviewer to most of the journals in Reproduction Science.